Providing reliable, affordable energy that powers our country and the world is what Texas does best. I am truly honored to represent an area that is a leader in producing the energy we use today and is at the forefront of creating the next generation of domestic energy that will carry us into the future. 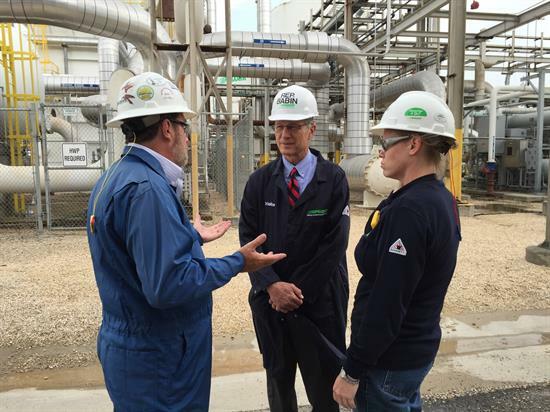 The refineries and chemical plants in and around the 36th Congressional District are unmatched in the world. Advancing policies that keep our refineries free from expensive, ineffective and burdensome regulations is important to our local and national economy. Projects like the Keystone XL Pipeline and the LNG export facility in Sabine Pass will create jobs for those of us who call East Texas home and it will make America stronger and more secure. Under the new leadership at the Environmental Protection Agency (EPA), the Department of Energy (DOE) and other federal agencies, the Trump Administration is bringing American energy back by reversing Obama-era regulations that raised the cost of electricity and gasoline and threatened and destroyed American jobs – all for little or no benefit to our environment. In Congress, I am committed to a real, long-term energy strategy that maximizes domestic energy production, eliminates inefficient and ineffective regulations, and continues to make the U.S. energy independent by reducing our reliance on Middle East oil.